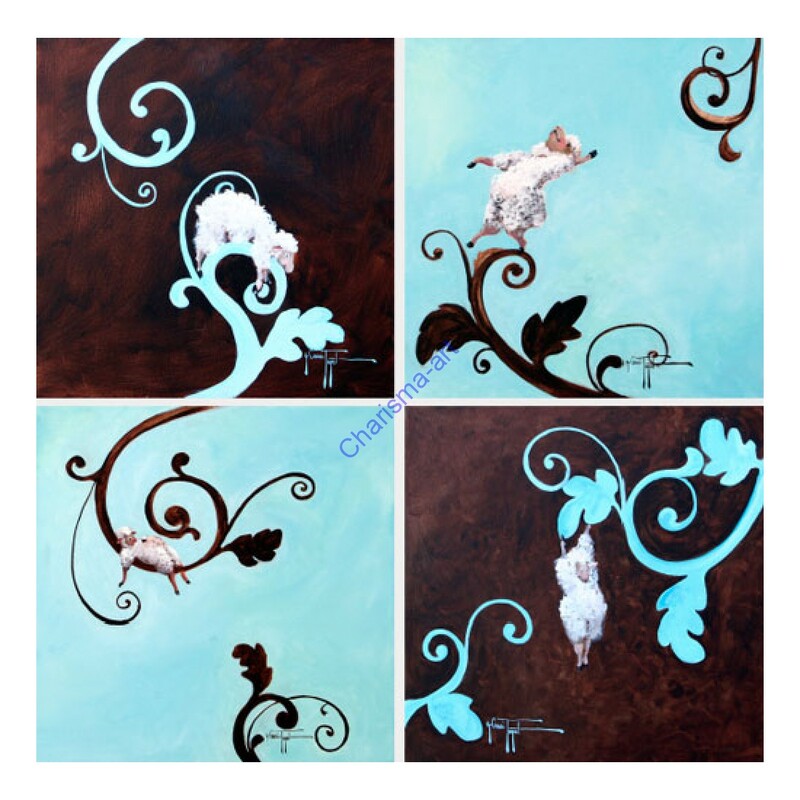 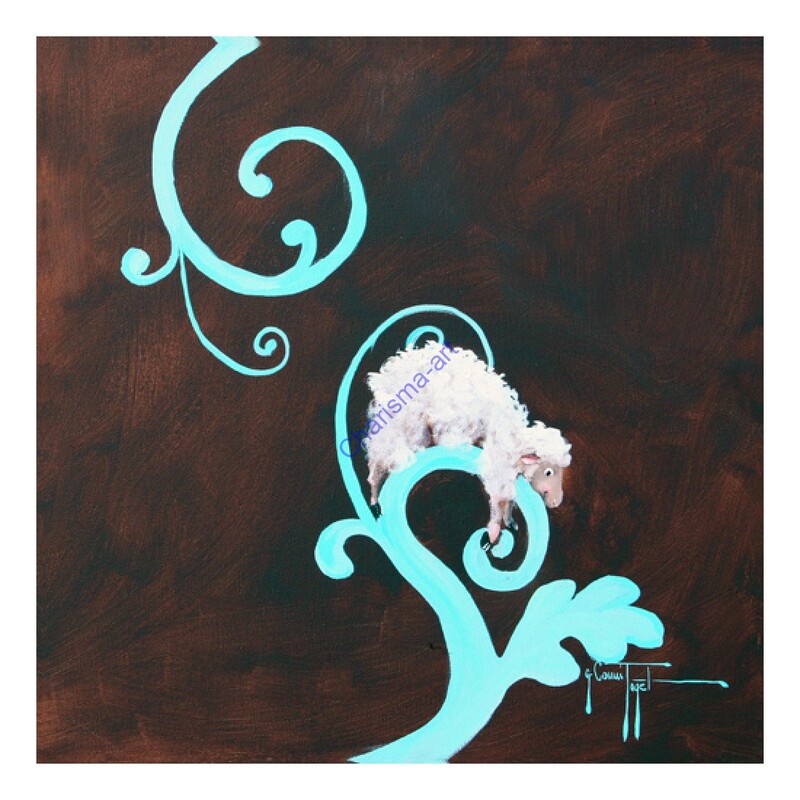 Sheep Decor - Set of 4 Canvas Giclees - these can be arranged as a square, or lined up to fill a horizontal or vertical space, or use them in four different areas. 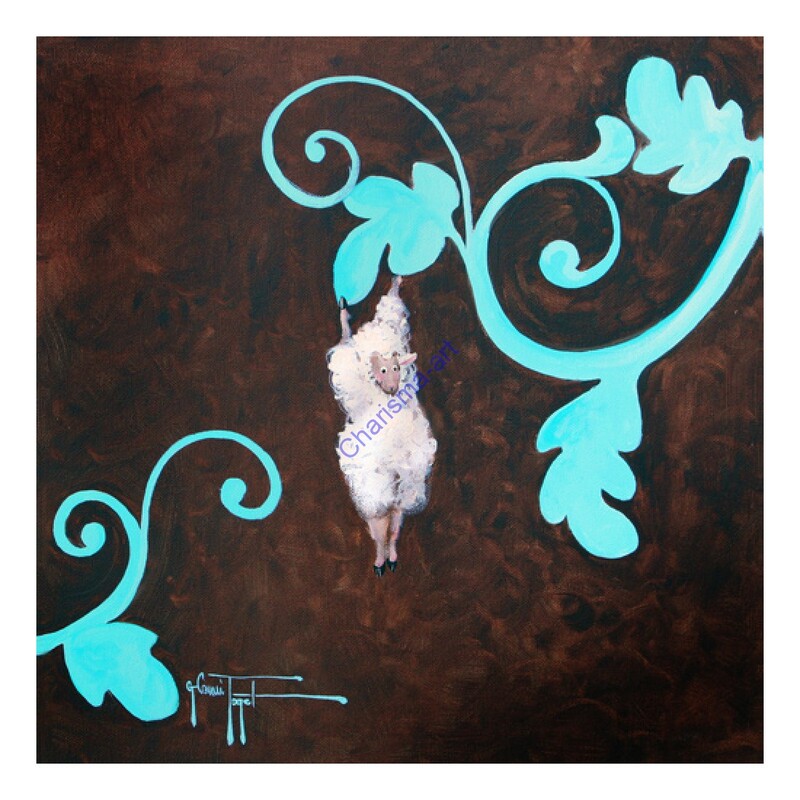 They work well with pretty much any decor - sheep are good at blending in, and making their surroundings look pretty. 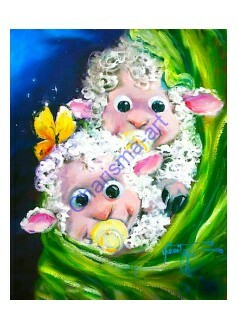 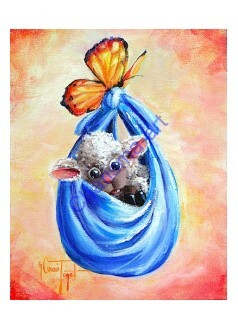 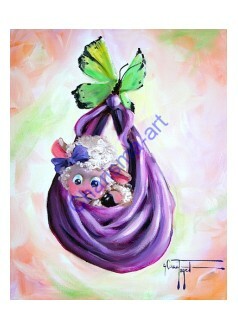 These look great in a baby room, livingroom, or office space - or anywhere else that needs a bit of sheepification. 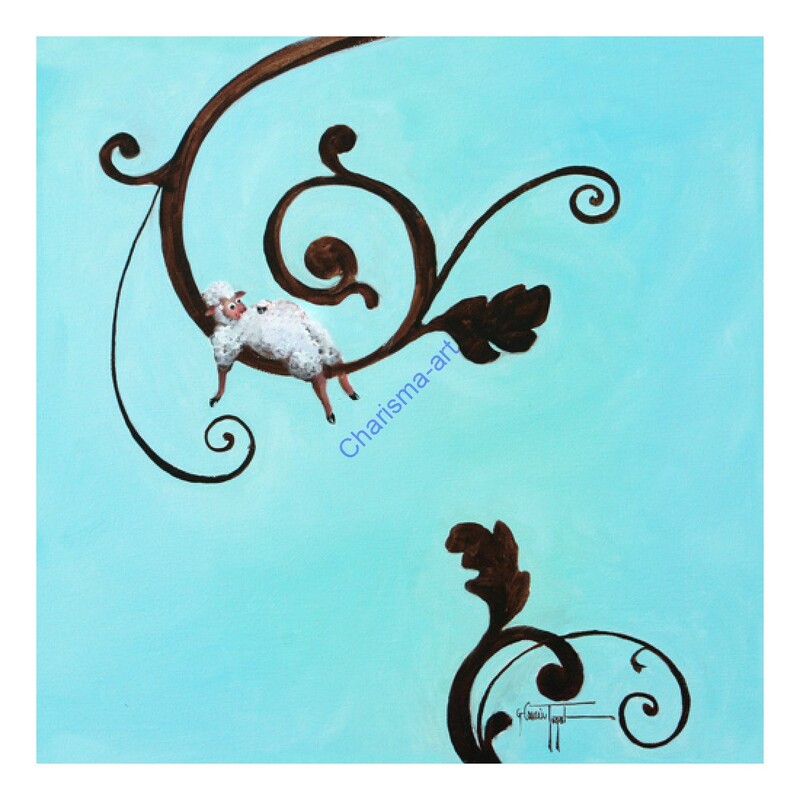 Each panel is hand-embellished to add texture to the sheep. 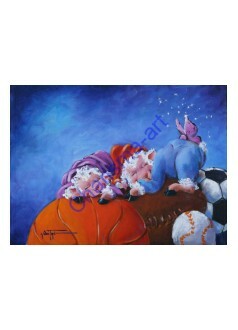 ATTENTION: the measurements you are selecting in the dropdown menu are for each individual panel! 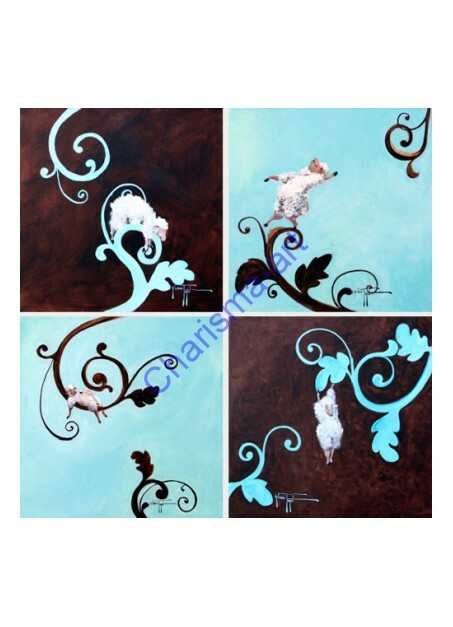 Selecting "9"x9" from the dropdown will get you four panels that are each 9 inches by 9 inches in size. 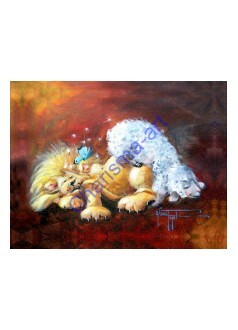 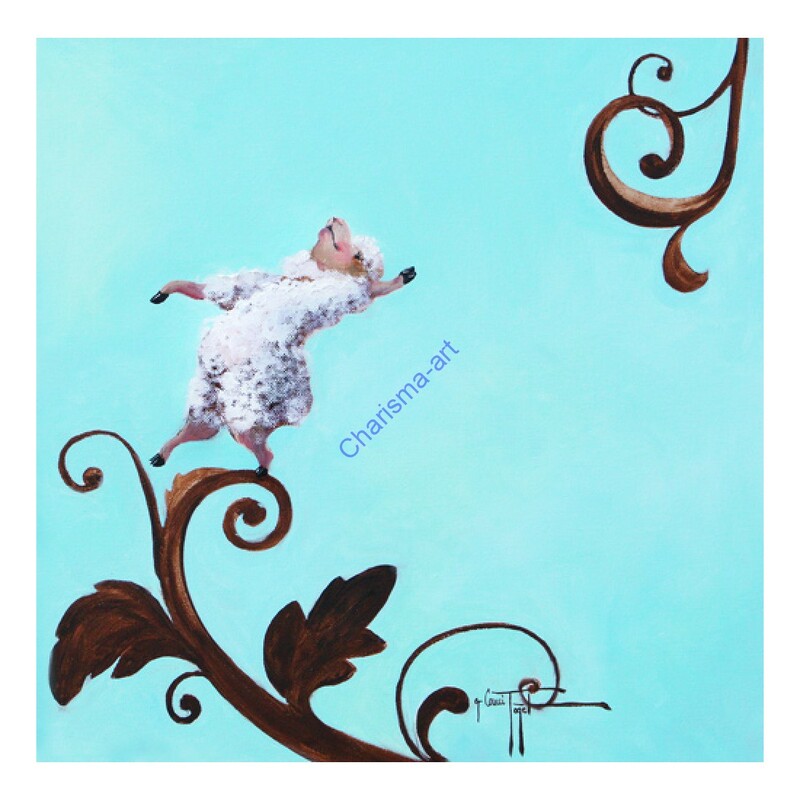 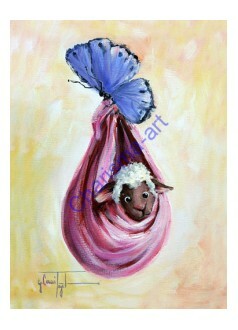 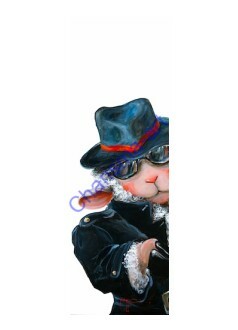 Canvas giclée reproductions by Sheep Incognito Artist Conni Togel.